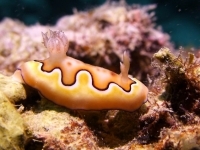 Colorful nudibranch with an orange to light yellow body, a brown to orange central dorsum (sometimes spotted) with curvy black edge and a purple marginal band, Gill branches are yellow to brown, as well as the rhinophores. They move their mantle up and down when they crawl, showing their white foot. 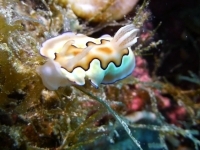 Unassessed by the IUCN Red list, but a fairly common sight on fringe reefs in the Western Indo-Pacific. Western Indo-Pacific to the Marshall Islands, Australia, Fiji and Japan. 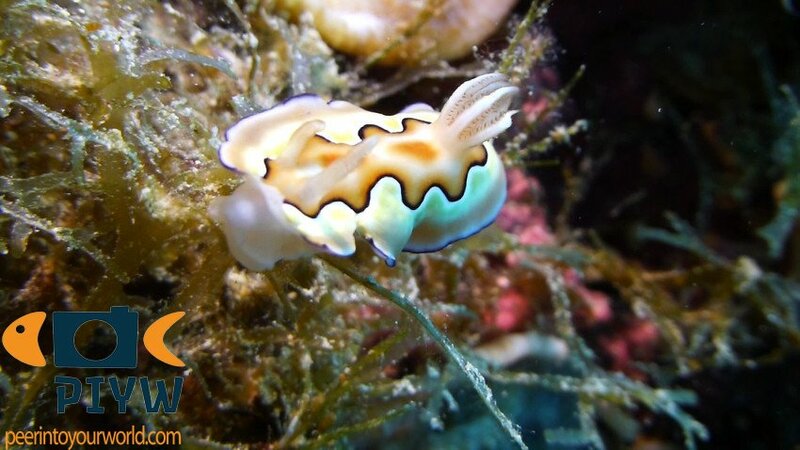 They prefer shallow, coral-rich fringe reefs in a depth range of 3-20 meters. 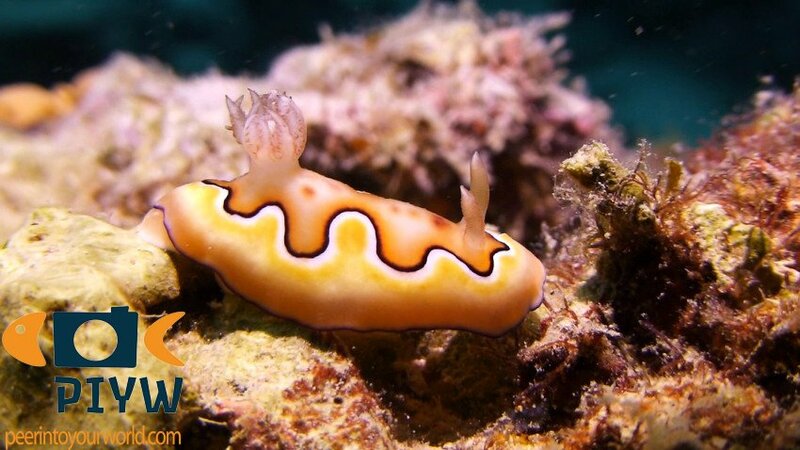 They are said to carry the toxins which they take from the sponges and use it for chemical warfare.